Silverman Family Dentistry has over 95 years of combined experience in cosmetic and family dentistry. Utilizing advanced and newest technology with laser therapy, CEREC CAD-CAN, Galileo 3-d dental scan, and Dental implants, Silverman Family Dentists offer a comprehensive approach to helping patients with all of their cosmetic dentistry needs. Bring the entire family to Silverman Dental. From your first visit as a child through the life of your teeth, we care for you like you are family. Even if you don not live in the greater Cincinnati area please feel free to call us, please call (513) 984-3700 for all of your dental health needs. The Silverman family, Cincinnati's Cosmetic Dentists, are here to help... make your smile all that it can be. I had my first appointment for a cleaning with Silverman Family Dentistry this morning and it was a great experience. I had to find a new dentist when my insurance dropped my previous dentist from the network. Going to the dentist can be nerve wracking as it is, but going to a new dentist can make it worse. Not at Silverman Family Dentistry! From the front desk to the dental hygienist to the dentist was a great experience. My dental hygienist, Natalie, was fantastic! She was thorough but gentle. And very friendly. Dr. Rick Silverman is also friendly and put me at ease. I'm so glad that I chose this place and couldn't wait to get home and tell my husband how great they are here. He's always super nervous before his visits to the dentist, so he was relieved that I had such a good experience. I will definitely recommend Silverman Family Dentistry to anyone that needs a dentist. The best dentists I have ever had. I have been a patient for many years! Personal, clean, professional, and timely. Highly recommended! Thank for for letting me come into your office while my dentist was out of town. It is comforting to know what my problem is and to be working on a solution. Your staff was very professional and kind. As always, the services rendered were excellent. The staff was very cordial. Thanks for telling me about the fluoride treatment. I look forward to my next visit. Thanks for taking good care of my teeth. This place is great, not only the dentists but the receptionists and the hygienists. I have been going there for years!!! My family has been using Silverman Dental for over 5 years now. The staff is always friendly, polite, and professional. My entire family have been going here for decades and have always been impressed with and confident of the best care around! Great work by all ! Friendly, efficient and professional. Best dentist in the area! Outstanding service with a family feel. Thanks for a good dental appt. experience today, everyone - I really like Dr. Marc's assistant. Excellent service. I have been a patient in this practice since the 1980's. I've referred family and friends over the years. I have been seeing Drs. Silverman for over 20 years and I am very satisfied with the excellent care that they have given me. I started out with the now retired father Silverman. The sons are doing well filling daddy's shoes. I am a satisfied customer. The dental hygienist (Lisa) was great! Dr. Silverman was very knowledgeable and gave me great advice. Love the dentist & all the staff. They are always so sweet & friendly. So glad I found them,can’t say enough great things about them. Thanks so much for everything. Prompt, well done, no time wasted. Relatively painless compared to cleaning done at other dentists' offices. Cheerful and friendly, overall a very relaxing pleasant experience. I'm extremely satisfied with how clean my teeth look. Dr. Rick and staff were very responsive to getting me in quickly to make a repair of a retainer prior to the weekend. Staff is always friendly and welcoming. Thanks! Never thought I would enjoy going to the dentist until I met Dr. Rick and Dr. Mark and the staff and hygienist are awesome too! Everyone at the office is great. Lisa did a great job cleaning my teeth. Everything perfect as always! Thanks! Just when I thought the last time was the best cleaning ever, this one was even better. My teeth look fantastic and there was no pain aftewards. The staff and Dr. Rick always make me feel like a member of the family. I always receive top notch dental care when I go to Silverman dental. From the front desk to the hygenist and also the dentist, all staff exceed my expectations! Wonderful office all around! I have been a patient of the Silverman Practice for over 5 years, and have always received excellent care and advice. Dr Mark and Dr Rick are professionals, put me at ease and describe treatment plans in a manner a laymen can comprehend. The dental hygienist are skilled and top notch, and provide a very comprehensive and gentle cleaning. Teeth cleaned by Inna, she did amazing job. Mark checked me out and all was well and,the office manager was kind. Great experience. The visit was great. The hygienist was very friendly and explained what she was doing each step of the way. 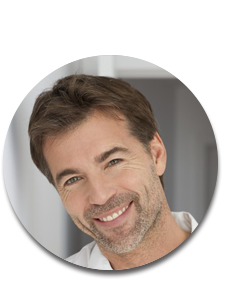 "My experience at Silverman Dental has always been a pleasant one. The employees are very nice, professional, and helpful. Dr. Rick Silverman, Ronin, his brother, Marc and the rest of the team do an excellent job with my teeth. Liz, my Dental Hygienist does an excellent job cleaning my teeth and I always enjoy sharing moments with her about our favorite shows. Thank you to everyone at Silverman Dental." The folks at Silverman Dental are simply outatanding! Everyone from the front desk to the back office is so personable. Had the most thorough teeth cleaning by Lisa. She was thorough yet gentle and mindful of my sensitive teeth. Exam by Dr. Marc was just as thorough and gentle. Nothing to fear during a trip to this dental group! Scheduled my next checkup and am confident that my next appointment will be just as good as this one! Many thanks for seeing me on 10 minutes notice and starting a plan to fix the problem. Silverman Dental has a great team. The dentists are well educated and are perfectionist which is what you want in a Dentist! Christy the hygienist I have is extremely thorough and very pleasant. I am in good hands with my "pearls" at this great place. Pardon the pun, but they are gems! Silverman Family and Cosmetic Dentistry is a very welcoming place. Their staff and the dentists are very down-to-Earth and professional. I always feel comfortable and like I'm receiving high quality services each time I'm there. Going to the dentist isn't my favorite thing to do but I don't dread visiting these folks on occasion! I hadn't been to the dentist in a decade. I met Dr Marc at a networking function. Silverman Family Dentistry is a true family business- father and 2 sons. Dr Marc ( a son) has performed 2 root canals and multiple fillings. They even call and check with me later that day or next to see how I'm doing. My favorite part- I get a hot towel to cleanup and refresh me after being in the chair. I also had Dr Rick remove my wisdom teeth fall of 08- simply flawless! I highly recommend the entire staff and a I recently found out that a HOF Baseball Announcer and his family trust the Silverman Family as well. Contact Silverman Dental to schedule an appointment or to request additional information about our services. We look forward to hearing from you.